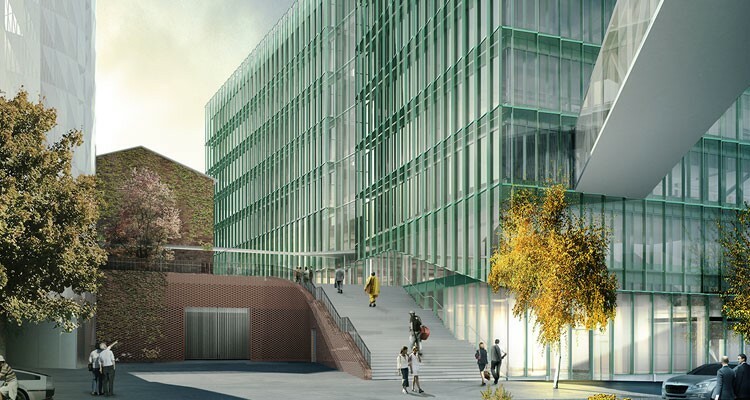 Situated centrally in Stockholm, Karolinska Institutet (KI) has been committed to medical research and education for over 200 years. Immunology has always been a strong discipline at KI, spanning both experimental and clinical research. A hallmark of KI is that students registered in doctoral programs dominate the research groups. As such, they have a central role in the research production and KI has a steady influx of young and bright brains! 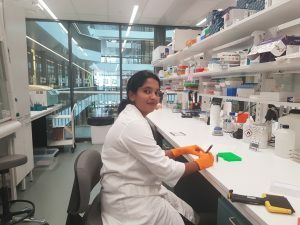 Great examples of this are Néstor Vázquez-Bernat and Pradeepa Pushparaj, two PhD students in the Karlsson Hedestam lab involved in HIV-1 vaccine research and the EAVI2020 consortium. 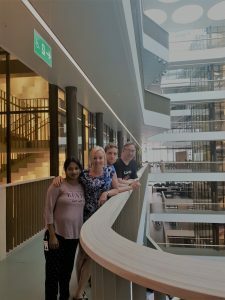 Very recently, the lab moved into the new Biomedicum building on the KI Solna campus. The building houses five departments, over one thousand researchers, multiple core facilities and state-of-the-art infrastructure. 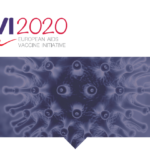 The tasks of the Karlsson Hedestam lab in the EAVI2020 project (WP7) is to provide expertise in immunogenetics, to generate immunoglobulin germline gene databases from immunized primates and to support collaborators with B cell-based assays as required for the analysis of vaccine-induced responses. The group has developed a computational tool for the analysis of antibody repertoire data generated by Next Generation Sequencing, IgDiscover (www.IgDiscover.se). IgDiscover allows the production of individualized germline gene databases for subjects of outbred populations such as non-human primates and humans. Emerging results from this work reveal a considerable diversity between individuals, which may well affect the magnitude and quality of responses to vaccines and infections. 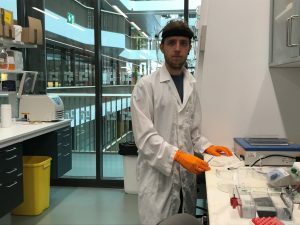 To enable future research in this area, the team, led by senior scientist Martin Corcoran (depicted above), is developing further protocols for the analysis of adaptive immune receptor genes (both B cell receptor and T cell receptor genes). 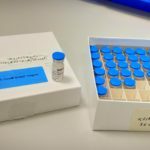 These approaches will be used to understand the genetic diversity of humans and macaques, as well as to study the ontogeny of vaccine-induced responses in large cohorts of individuals from pre-clinical and experimental medicine trials.